Throughout the Tri to End Homelessness campaign, we have truly seen that what goes around, comes around. We are thrilled to announce KEEN Footwear as the newest Tri to End Homelessness sponsor! KEEN has selected our story as part of their Hybrid Life campaign - a celebration of everyday folks who are connecting with the world, making a positive difference for sustainability, and living active lives. Thank you KEEN and the many, many of you who are joining us on this karmic journey. Remember: It's not to late to get on board! To date, we've raised $1275 for the homeless families living at Genesis Home. You can be part of this generous community by making your contribution today! Until we've experienced something for ourselves, the words of others often lack meaning and emotional connection. Just as it's difficult to explain what crossing the finish line at a big race feels like to someone who's never competed in one, it's very challenging for most of us to truly understand homelessness. To help, we've added a new You Tube blog addition. 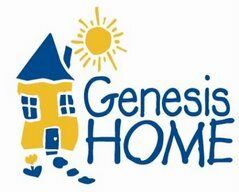 Check it out to hear the stories of Genesis Home families in their own words. Training goes on and we're both itching to race! Only three more weeks until we make our 2007 debut at the Endurance Triathlon Series' Valdese Sprint! We're psyched to see (1) how our bodies respond after the last three months of work, (2) our little sister, Holly, race her first tri, and (3) our parents cheering for us at the finish line! 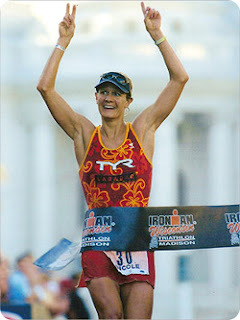 This past weekend Robyn was in St. Petersburg, FL for work-related travel and had a true triathlon celebrity sighting! The Subaru Women's Triathlon Series was also taking place in St. Pete this weekend. During Robyn's Saturday run, she was joined by 2003 Ironman Champion Nicole DeBoom! Robyn instantly recognized her by the sporty running skirt she was wearing! What fun to be out training with a champ! We talk a lot about commitment during our joint training workouts. Commitment to our marriages. Commitment to our extended families. Commitment to really showing up and leading joyful, rich lives. Commitment to our goals. Yesterday, Ray's commitment to one of her life goals really, really paid off. After two years of graduate school on top of two years of taking extra pre-requisite classes on top of two years of shadowing and professional observation, Ray was accepted into a Doctoral-level physical therapy program!!! This program will bring together Ray's love of sports, love of movement, and love of helping people -- and on top of that, after three more years she'll be Dr. Ray! After Ray graduates from the DPT program, we'll have 5 bachelor's degrees, 3 master's degrees, and 1 doctoral degree among us and our husbands. That's A LOT of education - especially considering the fact that our parents were the first people in their families to go to college. From an early age, our mom and dad instilled in us the value of education -- and its critical importance as a tool for creating the lives we want to live. Folks living at Genesis Home most often don't come from families like ours. In most cases, very few people have encouraged these moms and dads to pursue education. Many Genesis Home families feel like they could never get into - let alone- afford college. However, through the Bob Jackson Scholarship Program, the Genesis Home staff hope to change that. This program helps Genesis Home families pay for GED programs, technical training programs, and college degrees. Genesis Home families show their commitment to education -- and our community helps them get it. To celebrate the payoff of Ray's commitment to education, we stayed true to our commitment to this year's triathlon goals with a fun, fast, and flat 20 mile ride yesterday afternoon. Although many Tar Heel fans (including Robyn) are glued to this week's men's and women's NCAA basketball games, others are bringing attention to poverty in our community. 13 out of every 100 North Carolinians lives in poverty. That's nearly 1 million of our neighbors. Nearly 200,000 children in North Carolina live in poverty. Nearly 60% of families in poverty have at least parent working full-time. Health care costs are the leading cause of bankruptcy. Nearly one in four North Carolinians lives in substandard or unaffordable housing. These numbers are true March Madness. Learning to adapt is becoming a critical part of our training. The workouts don't always go as planned. Our bodies don't always respond in the ways we think they should. Our time mysteriously gets sucked away even when we think we've got a schedule figured out. The weather changes and a cold, cold snap shuts down the enticing Spring weather for another few days. Life happens. In the midst of this reality, adaptation is a key element in achieving our goals for the season and our lives. This past week, our work schedules conflicted with each other and we worked with our very flexible coach to rearrange the whole week so that we could still find time to train together. Then, Ray adapted her weights workout so that she could make time to have a special impromptu dinner cooked with love by chef Ryan (He runs a homeless shelter, he cooks, he folds laundry.....Robyn is so lucky!). Getting to gym would have meant missing out on family fun, so instead she lifted old paint cans on the back of Robyn & Ryan's deck. The cold forced weekend workouts inside, so we revamped bike plans at the last minute, turning a planned 1 hour 40 minute hill ride into an early Sunday morning 1 hour 20 minute trainer ride, simulating hills while in front of the TV. 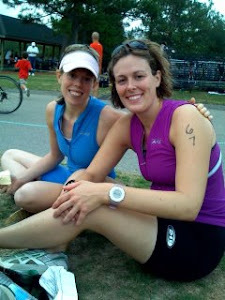 We bailed on the last twenty minutes in order to go support Ray's brother-in-law at his first tri of the season. He won by 54 seconds! Knowing our priorities. Adapting as needed. Singers Bono and Mary J. Blige serenade us on the pool deck (or at least in our minds) with their version of "One" that has become a Tri to End Homelessness training and fundraising anthem. Coach Sage breezes by the road and gently reminds us that balance is the key to training. Our husbands propel us forward, telling us that they're proud and reminding us that we can do it. The community of triathlete bloggers who's pages we read regularly run up ahead, shouting back that they've been there and the journey is worth it. Genesis Home families stand beside us in the locker room and say thank you. ....and the many friends and family members who have helped us raise over $1,200 to support those Genesis Home families in their journey out of homelessness send love through the universe that enables us to kick and pedal and stride (and sometimes shuffle...) on to the finish line. This morning we're inspired by a group of runners in West Palm Beach, Florida who are also using endurance sports to end homelessness. The Home Run program works with folks in transitional housing programs, like Genesis Home, to help them replace unhealthy habits with running. Volunteers like us lead this training program that last year motivated residents at The Lord's Place to successfully complete their first half-marathon. Maybe this is next year's version of Tri to End Homelessness?? This morning the "extremity" we were battling was the onslaught of early morning darkness caused by daylight savings. It was one of those days when we just didn't want to get out of bed. Robyn has had a stressful few days at work. Rachel is in a life holding pattern, going through the motions while she waits to hear important news. When the alarm went off, (o.k. when it went off for the second time after we already hit the snooze alarm once) it would have been so easy to roll over and go back to sleep. But instead, we kept the faith. We got up, gulped some coffee, downed a PB&J and headed to the pool. This afternoon, instead of hating the darkness, we'll revel in the light that daylight savings brings by enjoying an evening run together. That's the way faith works -- we hold on and trust that better things are ahead. This week, we have the privilege of being highlighted as Faithful Sole's Runners of the Week. This community of athletes is also keeping the faith by inspiring athletes of all ages and abilities and raising funds to promote running for 10,000 kids. 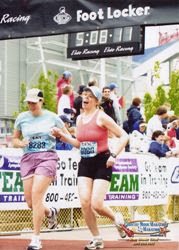 On Faithful Soles homepage you can see the picture here of us crossing the finish line at our first marathon - The Country Music Marathon in Nashville, TN in 2003. That race was life changing and life affirming. We were joined at the finish line by our entire family: Our mom and dad who walked the half-marathon. Our sister Holly who ran her first 13.1. Rachel's husband who finished 26.2 a few hours ahead of us. Dave's mom who joined our parents in walking the half. And Robyn's husband Ryan who strategically planned his cheerleading route and encouraged us all throughout the day when we needed it most. When mornings like this one come by, we hold on to this picture. And then we get up, gulp some coffee, down a PB&J, and head to the pool. 1. It's fun! Really, it is. Running, biking, and swimming feels like playtime -- sometimes, it takes a few minutes, but we always feel better after a workout than we did beforehand. 2. We can. Our bodies were built to move and we cherish that gift. Too many others living with disease or disability will never have this opportunity. 3. Everyday of training presents a new opportunity for us to define who we are. That definition does not get left up to the outside world. 4. We learn to truly be in the moment. Training and racing helps life to come into clear focus. We're better able to block out distractions and focus instead what life is presenting us with right now. 5. We have the opportunity to to savor every drop of the day. Training provides us with the privilege of experiencing the sunrise and sunset on most days. 6. We've never slept better. 7. We love the way our clothes fit. 8. We also like the way our brains fit....We're happier and triathlon costs less than therapy! 9. As married women, endurance sports are one of the few things that separates "me" from "we." Savoring the "me" teaches us that we are always whole just as we are. As a result, we're more present, engaged, supportive, loving partners. 10. Because get to learn a lot about the different faces of our community, we're more engaged citizens. Through running and biking, we've experienced what words like growth, urban renewal, sprawl, traffic-calming devices, protected habitat, and farmland really mean. 11. Finishing our first marathon in 2003 taught us that we truly can do ANYTHING we put our minds, hearts, and feet to. That mindset has allowed us to take on other previously scary things in life like changing careers, going back to school, learning to swim, making high pressure presentations, or hosting a dinner party for 12! 12. We've gained membership into a special community of "believers" -- other folks who are committed to living their very best lives and see endurance sports as the path. We like the company. Have Fun - Do Good encourages nonprofit organizations and the people who love them to use blogs to gain support! We're excited to be part of a growing movement! Also, the Network for Good has a new Celebrity Badge initiative that allows bloggers to easily encourage their readers to donate to a favorite charity. Join us and create your own badge for Genesis Home! Ahhhh.....after spending the last seven days resting, taking in fluids, and completing minimal workouts, we're on to the next step. Today begins a two week force block, during which our coach is helping us focus on building strength for our first race of the season in Valdese, NC. Much like the program residents participate in at Genesis Home, our training for the season ahead consists of a series of steps. In January, we were on our own, doing our best, but unsure of what training plan we needed to achieve our goals. When life got complicated or we felt that hanging out on the couch was really the best medicine for a long day, it was easy to skip a workout because no one else would notice. Folks often come to Genesis Home in this stage. They're on their own, struggling to to do their best, but lack accountability mechanisms and often drown in the day to day struggles that life hands them. Then the Genesis Home staff help them design a plan. In February, Coach Sage did the same for us. We spent the first three weeks of the month base-building with higher volume, two-a-day workouts. We worked to achieve weekly, individualized goals and sent our coach daily comments on how the plan was working out. Families at Genesis Home work with their coaches - the organization's case management staff- in a similar way. Perhaps a single mom has the goal to complete her nursing degree at our local community college. Genesis Home staff work with her to identify what steps are involved in achieving that goal: Attend weekly adult literacy class, complete G.E.D., research part-time nursing programs., meet with financial aid staff, complete program application..... Together, they develop a plan to reach those steps and check in regularly to adjust accordingly. Now, March is upon us, and it's time to build strength for the challenges we know lie ahead. We've gotten support, gained some confidence, and have growing faith in our plan and ourselves. For the next two weeks, we'll be climbing hills, lifting weights, and adding resistance of all kinds. At Genesis Home, this might be the phase when families address some the deeper personal issues that have played a role in their homelessness. By working with professionals specializing in abuse, drug addiction, or anger management, folks living at Genesis Home build the strength they'll need to maintain a prosperous life on their own after they leave the shelter. Most often, folks don't become homeless all at once -- and they don't climb out of poverty all at once either. Just like us, it's one step at a time. 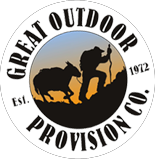 One of the privileges of being a mid to back of the pack athlete training in Durham, North Carolina is the company we get to keep. We train with people of every age, stage, ability, size, shape, race, and ethnicity. We share the YMCA pool with 80 and 90 year olds who teach us about what it really means to show up. We share the road with cyclists who are much faster than we are, but are happy to give a wave, lend a hand, and share directions when we need them. And we share our running routes with folks who inspire us every day. This morning Robyn shared her easy, rest week run with a group of four 50-something, 300-something pound men who were cheering each other with every step...walk/run/walk/run. Their commitment to getting up with the sunrise, lacing up their shoes, and celebrating each other and start of a new way of living reminds us that even on the tough days when we're gutting it out just to NOT hit the snooze alarm and roll over - we're not alone. "We choose to be strong."